FashionOn has a philosophy of continuous service improvement, which is supported by a consistent program of seeking new designs to be grouped into our brand group, which includes FashionOn, Y&G, Brian Boss, Pointe, Wise, Dan Smith. This is designed to lay a platform for future growth. Y&G brings you a sleek and minimalist look in neckwear this season. 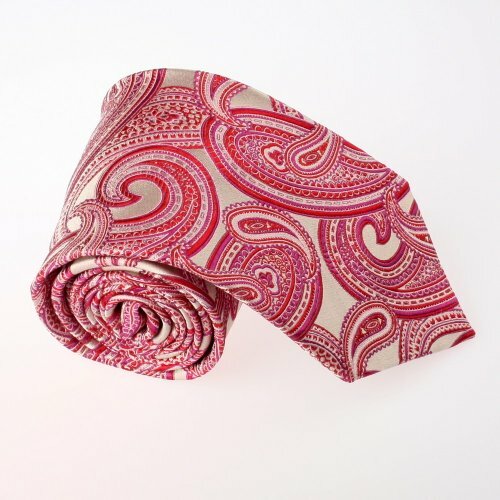 With a woven texture, constructed of silk, this men's necktie is handcrafted with great colour and design. Every detail is perfected and exemplifies the quality and value that Y&G is proud to capture. Each necktie from Y&G Neckwear is hand made, providing a touch of extravagant splendor for anyone who welcomes exceptional neckwear.